Jack Vernon, resident of 245 1⁄2 South Spring Street, was one of several hundred Angelenos to fall prey to the scourge of rabies which periodically struck downtown Los Angeles and its suburbs in the early part of the century. 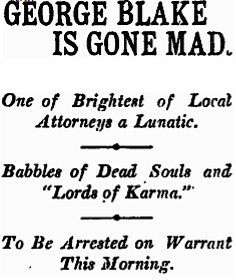 Thousands of rabid cats and dogs roamed the streets, attacking babies, school children, and adults. One Sunday during this outbreak a group of handsomely gowned women on their way to church sought safety from a charging mad dog by scrambling up the cliff side entrance to the Broadway Street tunnel, where they remained until a shotgun-toting policeman came to dispatch the menacing beast. The first case of rabies during this period was recorded in Pasadena, where local health officials quickly passed an ordinance requiring pet owners to muzzle their dogs. The muzzle law brought a halt to the spread of the disease in that city, but it proved unpopular in Los Angeles, and after one week, was revoked. Members of the city health board objected to dedicating police manpower to enforce the ordinance, and residents protested the inhumanity of restraining man’s best friend in such a brutal way. No measures were taken to combat the epidemic downtown until tragedy struck a prominent city family. A few days before Christmas, 10 year old Joseph Scott Jr. went out on his front lawn at 984 Elden Street to eat a piece of bread and butter, when a stray dog jumped the fence and nipped him in the leg. As health officials were still in denial about the rabies threat in the city, they hadn’t raised an alarm, and the child’s family saw no reason to take extra precautions over such a minor dog bite. It healed over quickly. 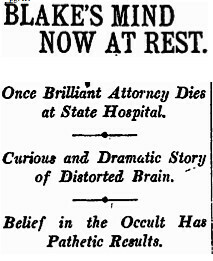 Six weeks later, the child became violently ill, and died in agony that night. 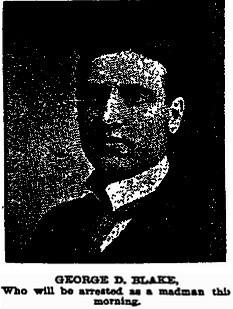 His father, Joseph Scott, was president of the Los Angeles Board of Education and also President of the Chamber of Commerce. In his grief, Scott made every effort to draw attention to his son’s death, hoping it might save lives. Likely alerted to the rabies danger by the publicity surrounding Joseph Scott Jr.’s death, Jack Vernon sought treatment in January for a dog bite at the Receiving Hospital at Hill and First Streets. 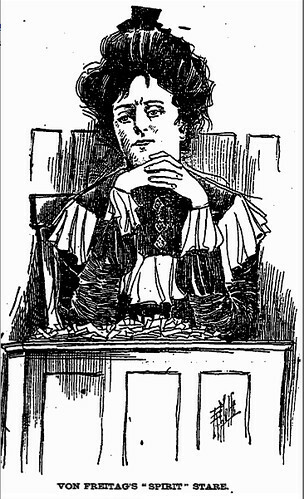 A nurse poured carbolic acid into his wound and cauterized it, a very unpleasant business. 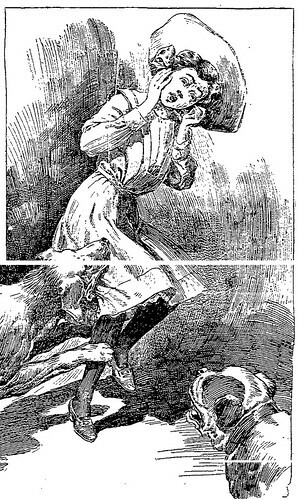 It was routine to inform bite victims that rabies can lie dormant for up to three years, so Jack probably faced the dilemma of either having to track down the animal that bit him to confirm the rabies diagnosis, or waiting years before he could be sure he wouldn’t one day form a violent aversion to water, leap at his loved ones throats and suffocate to death from respiratory paralysis. The only other option at the time was to travel to the Pasteur Institute in Chicago, which had recently pioneered a rabies serum. One Angeleno who sought the Pasteur cure after being bitten by a mad dog found little consolation in the treatment. He was on a train traveling back to Los Angeles, when, according to his fellow passengers, he suddenly stabbed himself repeatedly in the throat with a pocketknife. He stated later from his sickbed that his mind had given way under the worry that he might go mad, and had decided suicide was his only way out. Whether or not to use cosmetics would be a social and feminist issue in the 1910s and 1920s; however, in the late 1800s the hot button issue for women was dress reform. 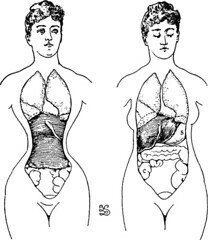 Many women were tired of being laced into corsets so tight that their health was permanently impaired. Corseting could result in damaged or broken ribs and difficulty in breathing (often the shortness of breath was mistaken for the symptoms of tuberculosis). And the romantic fainting and swooning spells which required households to have smelling salts on hand were not so romantic when you consider that they were the result of restricted lung capacity. There is also compelling evidence that some women used corsets as a way to terminate an unwanted pregnancy! Internal organs rearranged. Sometimes a tight laced corset was a requisite for employment. Women who were employed in dress shops, and therefore required to model the latest fashions, were often subjected to the most painful restraint. The following quote appeared in the Chicago Tribune on November 3, 1907: “The girls are laced up till they are nearly cut in two. Locked corsets are used, the key being kept by the manageress, and the corsets being worn night and day.” Mrs. Alice Jenness Miller Photo – Univ of Pennsylvania One of the proponents of dress reform for health and aesthetic reasons was Mrs. Alice Jenness Miller. 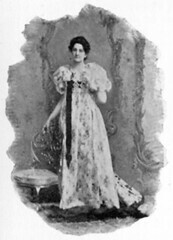 On April 5, 1889 Mrs. Miller appeared at the Los Angeles Theater to give a demonstration of her comfortable dresses and undergarments to the women of the city. According to newspaper accounts it was standing room only in the theater when Mrs. M. took the stage. Men were shooed out of the place so that the reformer could model her undergarments without embarrassment. Miller addressed the crowd and told them that the trunk of clothing that she used for her demonstrations had gone missing, and she made a snarky comment about the incompetence of the men in charge of the trunk. Her remark made the women in the audience chuckle knowingly and when the laughter had subsided Miller launched into her lecture. 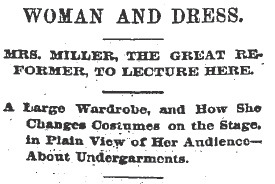 The women in the audience need not have been worried that Miller’s presentation would suffer as a result of the missing trunk – she was a trooper. She arrived on stage wrapped in a cloak which she dropped dramatically to the floor, revealing a fetching divided skirt which she referred to as leglettes! Divided skirts were gaining in popularity due, in part, to women becoming more interested in participating in sports. Just try to play tennis or ride a bicycle wearing a giant floor length cage under your heavy full length dress – I dare you. Foot binding in China was an extreme version of fashion as oppression – somewhat less obvious were Western fashions such as a bulky bustle and tight corset. Women may not have been kept in cages with iron bars, but their mode of dress kept them in captivity just the same. Mrs. Miller advocated a freedom of dress that would be healthful to women, while remaining aesthetically pleasing to all. 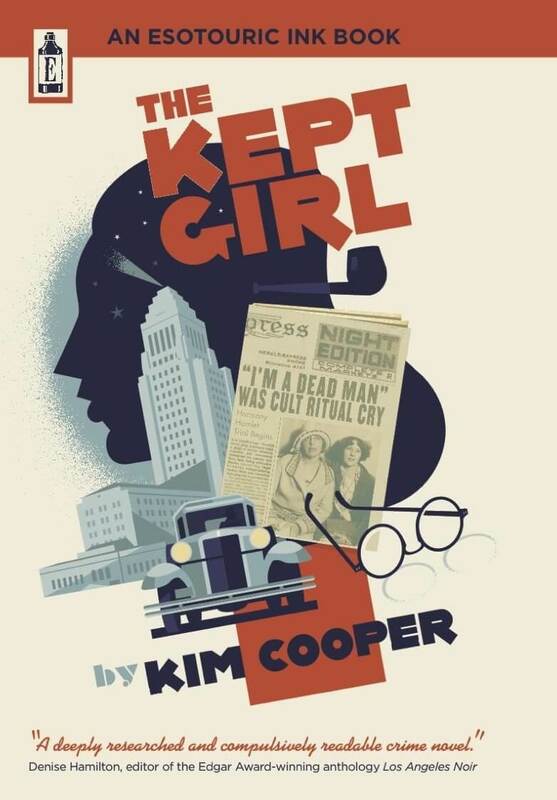 Her presentation at the Los Angeles Theater was a hit (and she would return a few more times over the years). A Los Angeles Times reporter observed that “All women cannot be of the almost ideal height and weight that distinguish Mrs. Miller, but all, large or small, may carry themselves according to healthful and natural laws…” Amen to that.